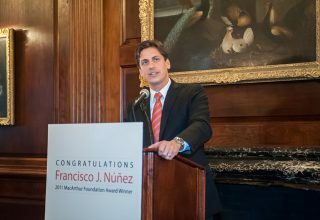 Francisco J. Núñez founds the Young People’s Chorus at the Children’s Aid Society to inspire the hopes and dreams of urban children of all backgrounds and to improve their lives through a program of musical excellence. 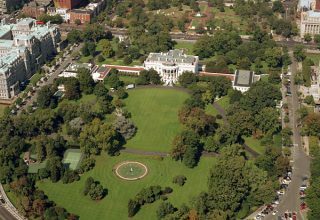 The White House invites the chorus to perform for a V.I.P audience that includes First Lady Hillary Rodham Clinton. 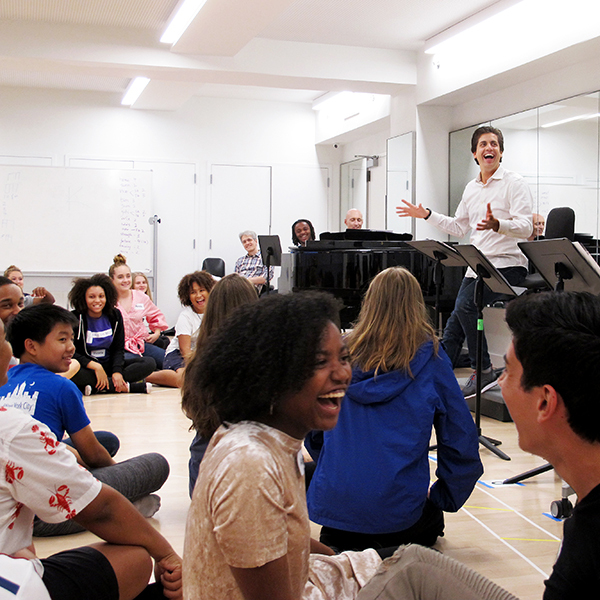 The Young People’s Chorus of New York City is formed: an independent nonprofit organization with its own Board of Directors, in residence at the 92nd Street Y. Considered the underdog in competition with more seasoned choirs from around the globe, YPC wins a silver trophy at the Prague International Choir Festival and Competition. 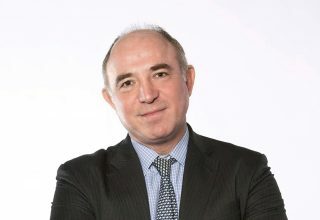 Creating new music by the leading composers of our time, Francisco designs and launches a bold new program to commission work especially for YPC. 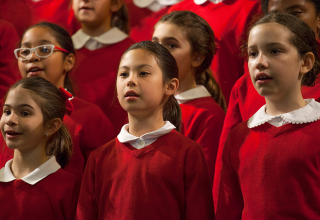 To reach children in musically underserved schools across the city, YPC introduces its School Choruses program in partnership with New York City schools. 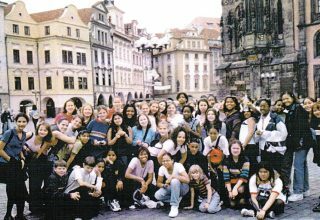 YPC choristers return home from the 2004 Choir Olympics in Bremen, Germany - where they joined 22 other choirs from Europe, Asia, and South Africa in competition. 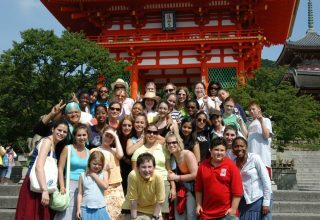 YPC is invited to represent the United States at the 7th Annual World Symposium on Choral Music in Kyoto, Japan. 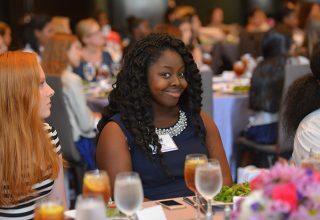 After steadily supporting children’s ambitions to go to college from day one, YPC formalizes College Bound: A Youth Development Program to offer choristers an array of college readiness services. YPC is invited to perform for Pope Benedict XVI on his first visit to the United States in a New York Citywide celebration at Yankee Stadium. YPC joins top names in new music—from the Kronos Quartet to Joan La Barbara—for the historic Carnegie Hall performance of Terry Riley’s “In C,” the seminal 1964 work that launched music’s minimalist movement. 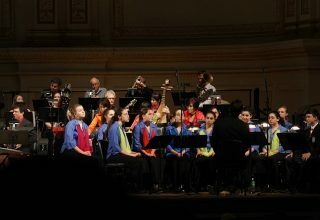 In two remarkable tours of Japan in the summers of 2009 and 2010, the Young People’s Chorus of New York City performed for thousands of enthusiastic Japanese audience members in 32 major…and some minor…cities in Japan. 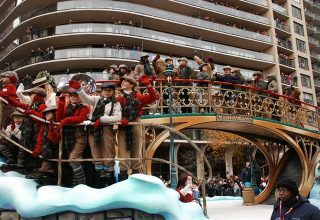 The choristers appear in the 84th Annual Macy’s Thanksgiving Day Parade, singing the television premiere performance of “Yes Virginia, There’s a Santa Claus” with Tony nominee Ann Hampton Calloway. First Lady Michelle presents Francisco J. Núñez and YPC chorister Stephan Douglas Allen with a National Arts and Humanities Youth Program Award. YPC is the first American youth chorus invited to take part in the Polyfollia international choral music showcase in Normandy, France. Adam D. Chinn, a member of the YPC Board of Trustees since 2007, is elected Board Chairman. 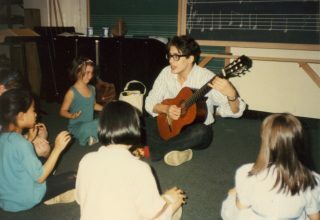 In order to bring YPC’s award-winning music curriculum directly to children in their own neighborhoods, YPC creates its first Community Choruses program in Washington Heights. 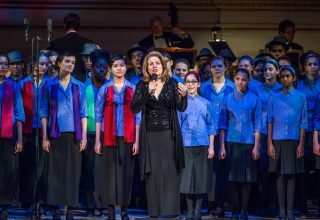 Opera legend Renée Fleming helps celebrate YPC’s 25th Anniversary by hosting and performing with the choristers in YPC’s Gala Concert at Carnegie Hall. YPC is a continuing presence at the 9/11 Memorial and Museum, as its "Give Us Hope" recording is heard as visitors leave the building. 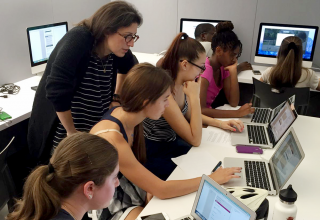 Associate Artistic Director Elizabeth Núñez creates a new mentoring program for YPC high school girls. 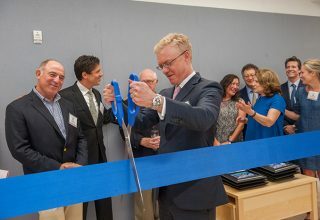 YPC moves into its new home across from Lincoln Center, a state-of-the-art headquarters equipped with offices for artistic and administrative staff. 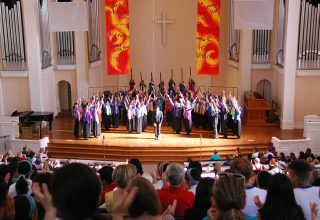 YPC wins five gold medals in the 10th Golden Gate International Children’s and Youth Choral Festival in Oakland, California. 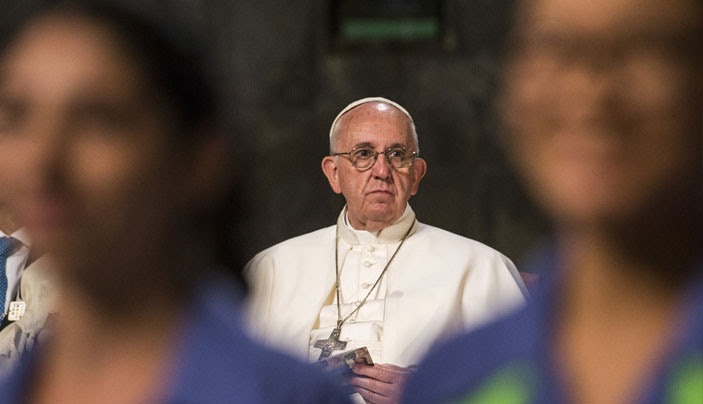 The Young People’s Chorus of New York City are invited to perform for Pope Francis at the 9/11 Memorial and Museum in “Witness to Peace,” a multi-faith gathering of leaders representing every major world religion. 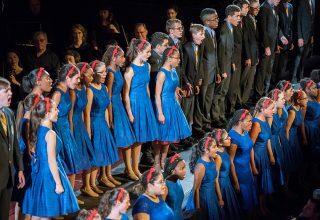 YPC is the first American chorus in the 54-year history of the European Broadcasting Union’s Let the Peoples Sing competition to win first prize. The choristers are featured artists in two NBC-TV national telecasts: The Tonight Show Starring Jimmy Fallon and the annual Christmas tree lighting ceremony in Rockefeller Center. YPC debuts in Lincoln Center’s distinguished White Light Festival in Meredith Monk’s “Dancing Voices,” an intergenerational production that looks ahead to the future. Young People's Chorus of New York City, conducted by Associate Artistic Director Elizabeth Núñez, is named "Choir of the World" at the International Choral Kathaumixw in Powell River, British Columbia, Canada. This marks the first time in the festival's history that a North American chorus has achieved this honor.